We’re in a maritime mood today. Read on for seven of our favourite ship-related archaeological sites. Bon Voyage! In 1904, Gabriel Gustafson uncovered the most spectacular Viking ship burial ever seen. The clay and peat-rich soil of Oseberg had preserved the elaborately-carved oak fabric of the huge ship – measuring 21.5m long and over 5m across, it would have been propelled by 30 oars – in astonishing condition. The 9th-century burial contained the remains of two women, one elderly and almost certainly royal, and the other aged between 25 and 30 – perhaps a servant chosen to accompany her mistress to the next world. They were accompanied by a wealth of objects, tapestries and clothing. The 7th-century ship burial uncovered by Basil Brown in 1938 was remarkable for its size – although the wood had long since rotted away, rivets and stains in the sand indicate a vessel 27m long and 4m wide – but even more so for the breathtaking array of grave goods it contained. From feasting equipment, gaming pieces, and a lyre, to silver bowls, weapons and jewellery decorated with gold and garnets – as well as the now world-famous Sutton Hoo helmet – this was clearly a man of wealth and taste who had been provided with everything he might need in the next world. As Rome expanded in size and power, great fleets of galleys were built to protect the city, defend its commercial interests and safeguard the ships bringing the vital food supplies that fueled the imperial machine. Recent excavations by the University of Southampton and the British School at Rome (the Portus Project) have uncovered the vast sheds or navaliae built by Trajan where these vessels were housed and repaired. The site of the World Trade Center in New York once lay within the Hudson River channel. In 2010 archaeologists investigated the site in advance of the construction of a large underground car park, and uncovered evidence of how the metropolis first grew into a commercial power. Deep in the waterlogged mud they found the remains of an 18th-century vessel perhaps 60-70ft long, dating from a time when Manhattan and Brooklyn were New York city’s maritime commercial core. As the capital of two of the world’s greatest empires, Istanbul (formerly Constantinople) has long been an important commercial power. In 2010 a rail link project in Yenipaki district uncovered the site of a major harbour along with the remains of 34 ships and 25,000 artefacts including clay tablets bearing the names and places of origin of ship owners, and stone and iron anchors, giving a much fuller picture of shipping and ship types in the period. In 1744, HMS Victory II, the majestic 100-gun flagship of the Royal Navy and then the greatest warship in the world, was sailing home after a successful cruise to the River Tagus in Portugal where she had liberated a victualling convoy blockaded by France, when she encountered a ferocious storm. The ship, along with her whole crew and 74-year-old Admiral Sir John Balchin, was lost, lying undisturbed at the bottom of the English Channel until she was rediscovered by Odyssey Marine in 2008. 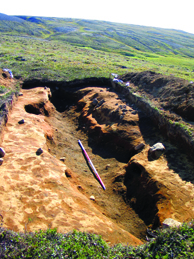 The little town of Húsavík in northern Iceland is known as a centre for tourist whale-watching boat trips, but a recent discovery has uncovered a rather different journey by boat undertaken 1,000 years ago. 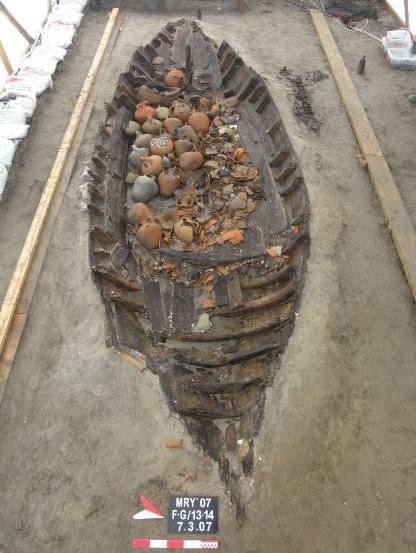 Some 223 boat nails and a dark stain in the soil revealed the presence of a boat burial which once contained a vessel about 6.5m in length and 1.15m wide. This contained the jumbled remains of at least three people – probably two men and a woman – as well as a delicate bronze bell hinting at connections with northern England or Scotland. It’s good to hear that something good has come from such an evil disaster at the World Trade Centre. The ships at Lake Nemi -and Palazzo Massimo. How could you not include these! Not just for the artefacts themselves but also the achievement in excavating them and the story of their survival – or not- since excavation.